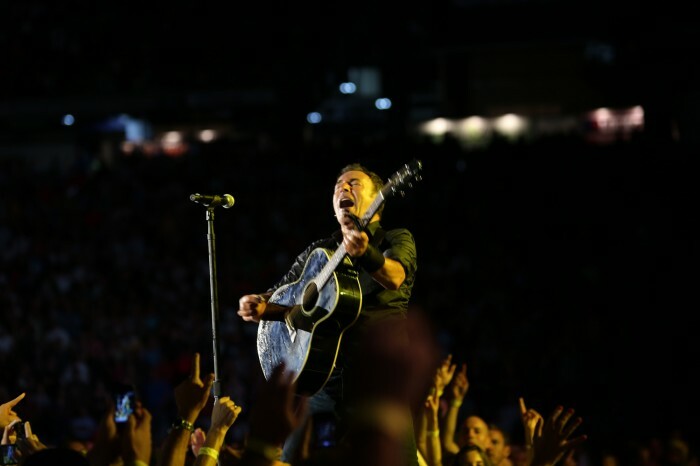 During sound check tonight at Gillette Stadium in Foxboro, as Bruce and the Band were wrapping up "We Take Care of Our Own," a praying mantis wandered on stage. 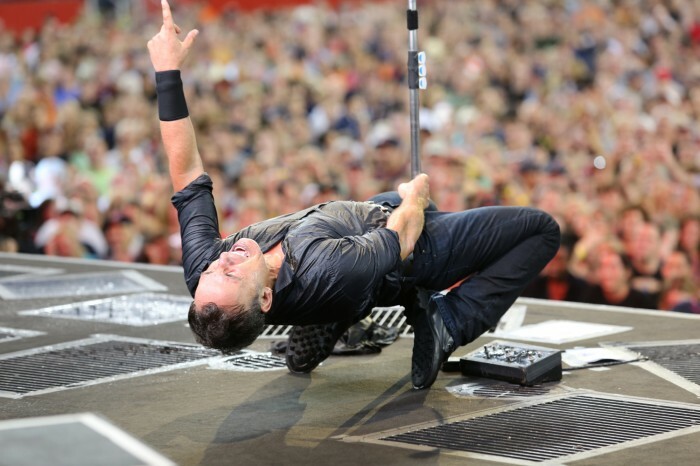 When Bruce noticed the little wise guy, he picked him up to ride around on the back of Bruce's hand, doing his own photo shoot, as the Band and crew crowded around for a look. 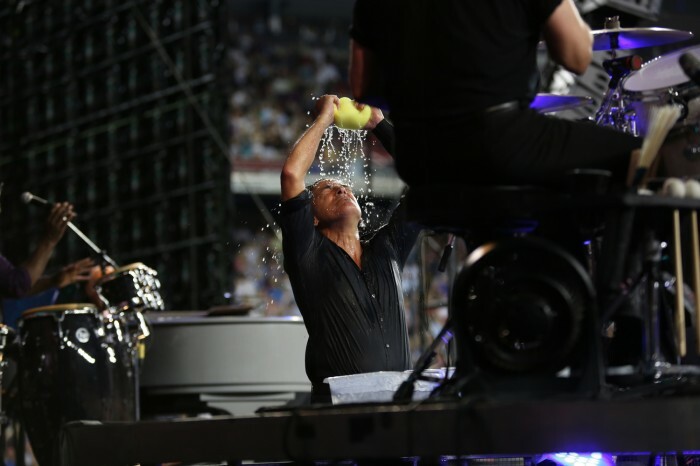 He scared at least one E Street Band member right off the stage who shall remain nameless. Bruce finally held him up saying, "We got a new mascot now." 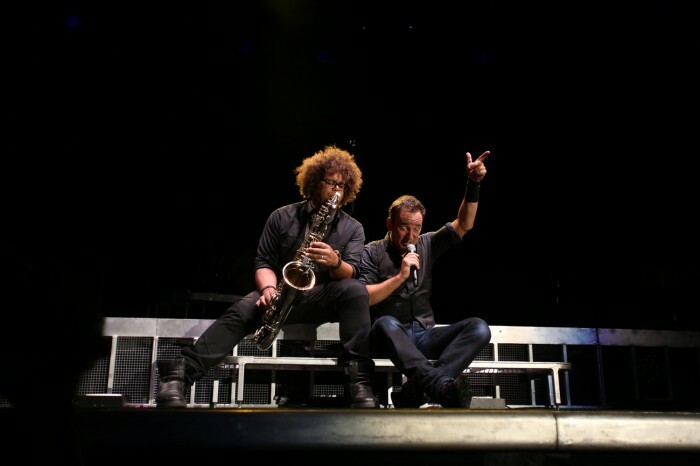 Management later revealed that this was a traditional sign of good luck for tonight's show. 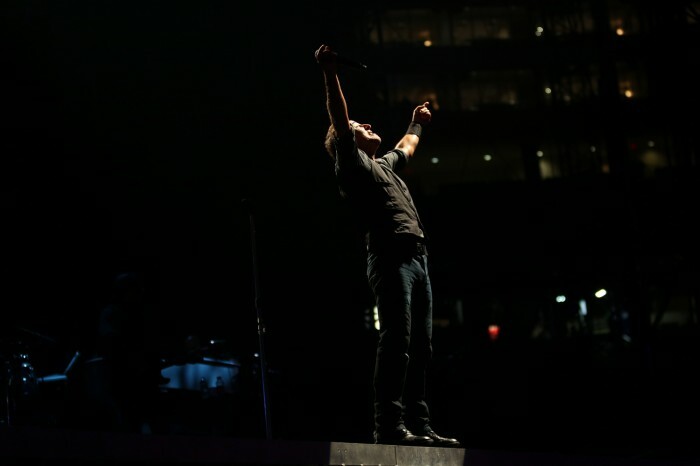 For their third show in the Boston area in just five days, Bruce and the E Street Band made songs like "The Rising," "Working On The Highway," and "Radio Nowhere" sound absolutely fresh. 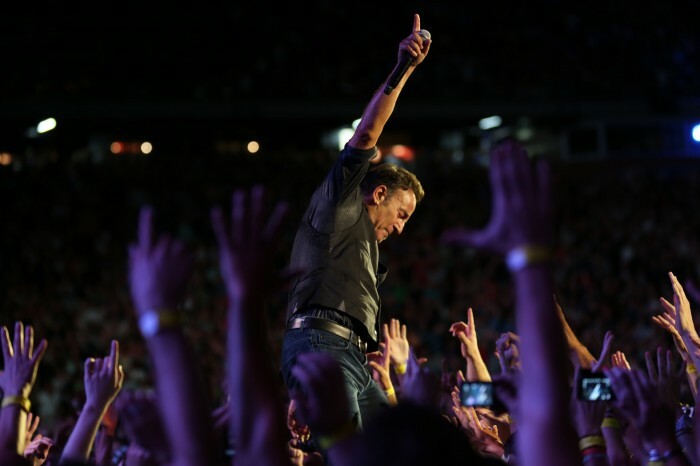 During an early "Hungry Heart," the crowd sang the entire first verse, but if Bruce was worried about the whole stadium (all 50,000 attendees) stealing the show, all he said was "give yourself a round of applause!" 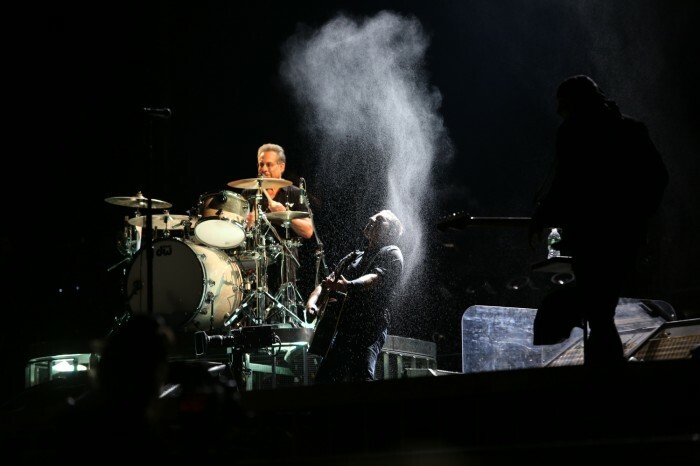 During "Because the Night," Nils delivered a different interpretation of his guitar solo. 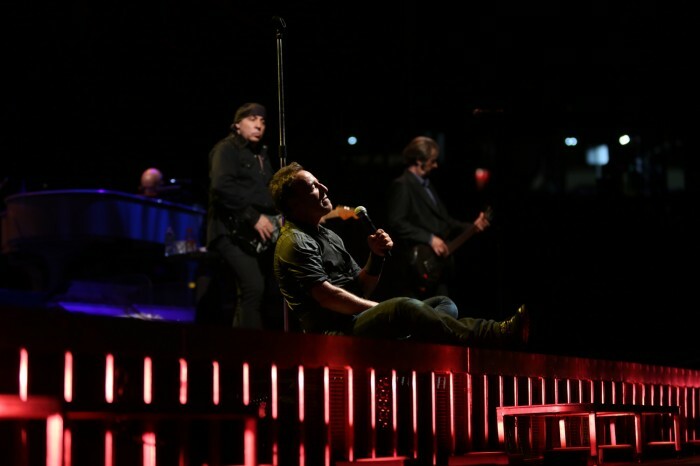 A thrilling "Shackled and Drawn" featured slight changes to Cindy's powerful duet with Bruce. 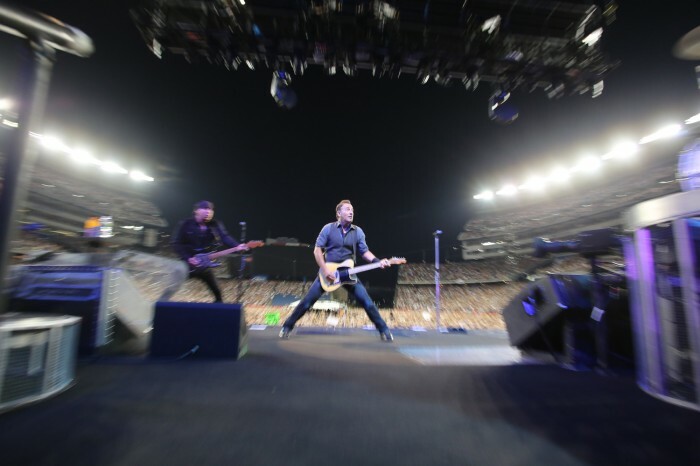 And the momentum kept building through a rougher version of "The Rising," and then all throughout "Badlands," ending the blitz with Max's extended drum ending. 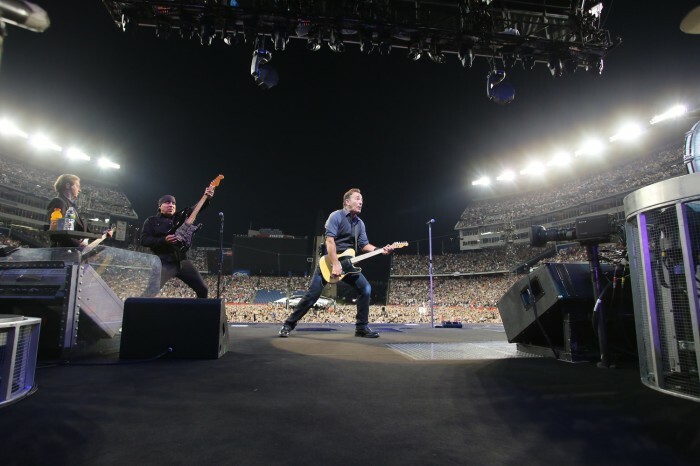 No need for us to wonder how long Bruce and the Band can continue to reinvent themselves on stage: a blaring cry was heard in Foxboro when Bruce called out all the young people present, and Bruce shouted back, "We need some youth out here because we plan to be out here another thirty-forty years." We should all hope so because as soon as they figure out how to bottle that performance of "Open All Night," everybody is going to be living a few years longer.